From your CAD print or hand sketch, Integrity Saw & Tool manufactures the precise custom cutting tools you need to do the job. Whether your application is production, prototype or short run, we can manufacture the tool you need. 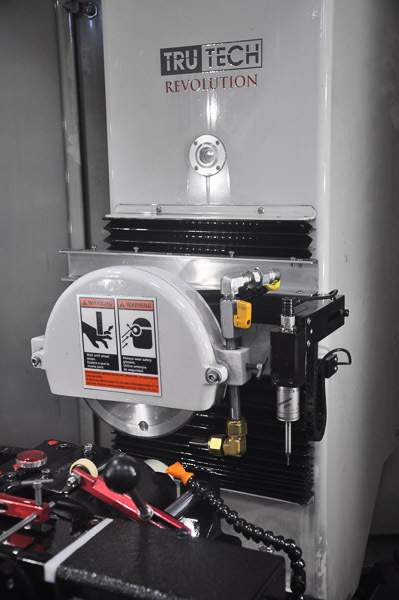 If you have a standard tool that needs to be modified, we do that too – Modified Tooling. New custom cutting tools are manufactured from solid carbide or high speed steel (HSS) blanks. Plus, we can do it again. Digital files of your custom cutting tools are maintained for future use and exact results if you need to reorder. The digital files allow us to program our computer numerically controlled (CNC) equipment to manufacture the tools to your precise specifications. With a high degree of technology at every step of the manufacturing process, precise operating tolerances and consistency are guaranteed. Integrity Saw & Tool continually invests in state-of-the-art technology to give us a cutting-edge advantage over the competition. We consider our custom tool design division the problem-solving department. When our customers require a specialized custom cutting tool, our experienced staff - working with advanced digital fabrication equipment - follows a multistep process to ensure our customers receive the exact tool their job demands. Listen and understand our customer's application challenge. Produce a custom tool design and send the design to our customer for approval to ensure we've clearly defined all dimensions and tolerances. Create a 3D prototype of the custom cutting tools to the precise specifications from the design and send the prototype to our customer for approval. Once the 3D prototype is approved, the custom cutting tools are manufactured. Integrity Saw & Tool’s experienced staff program our equipment according to the custom tool design to cylindrically grind all diameters and step intervals to precise sizes and tolerances. The results are precise custom cutting tools typically finished in 24 to 48 hours.